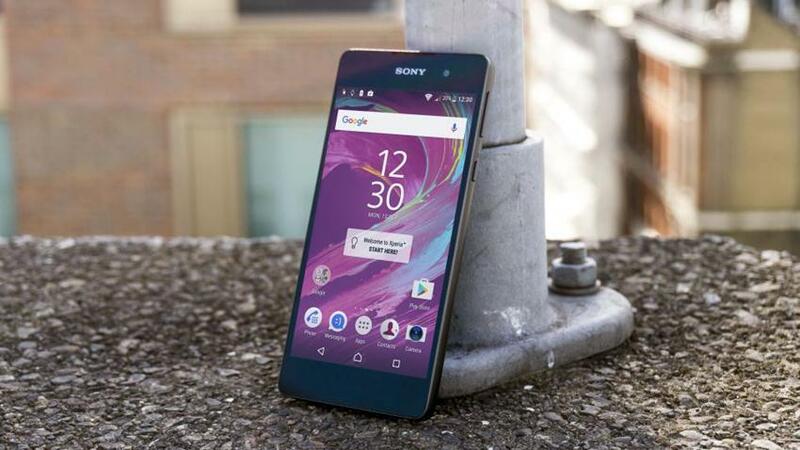 The Sony Xperia E5 specifications and features: this is a 5.0" device with a 720 x 1280 screen resolution. The phone is powered by the Mediatek MT6735 with a 1.3 GHz Cortex-A53 Quad-core configuration. Memory is 1.5 GB, with the device offering 16GB internal storage and up to 256 GB of external memory. The Sony Xperia E5 features Compass, Accelerometer Sensor, Proximity Sensor. The device measures 144 x 69 x 8.2 mm and weighs 147 g (5.19 oz). The main camera on the Sony Xperia E5 is a 13 MP shooter, with Autofocus, LED flash, Geo-tagging, Touch focus, Face detection, HDR, Panorama. The device also has a front facing camera capable of shooting 5 MP selfies.